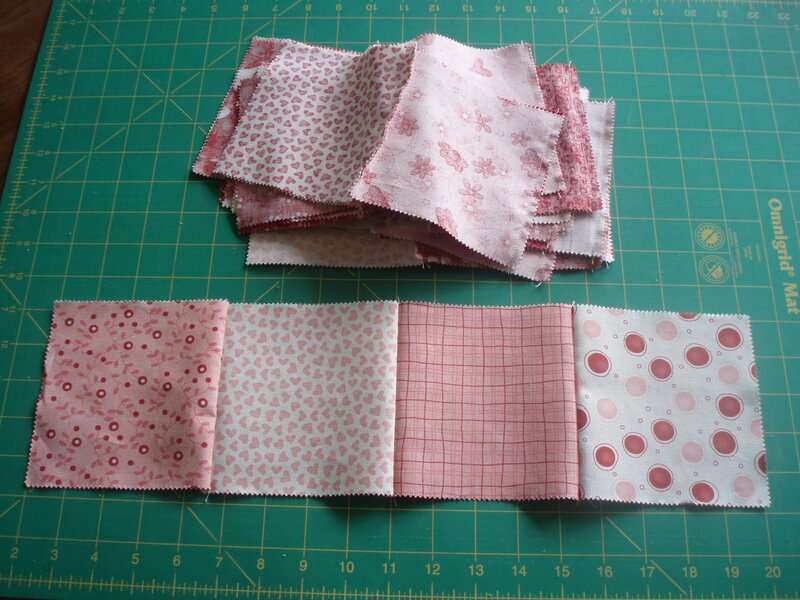 take the sets of 4’s and sew to another set of 4.
this will give you 7 sets of 8’s. Take your leftover sets of 2’s (that you set aside earlier) and match up a set of 8 with a set of 2. 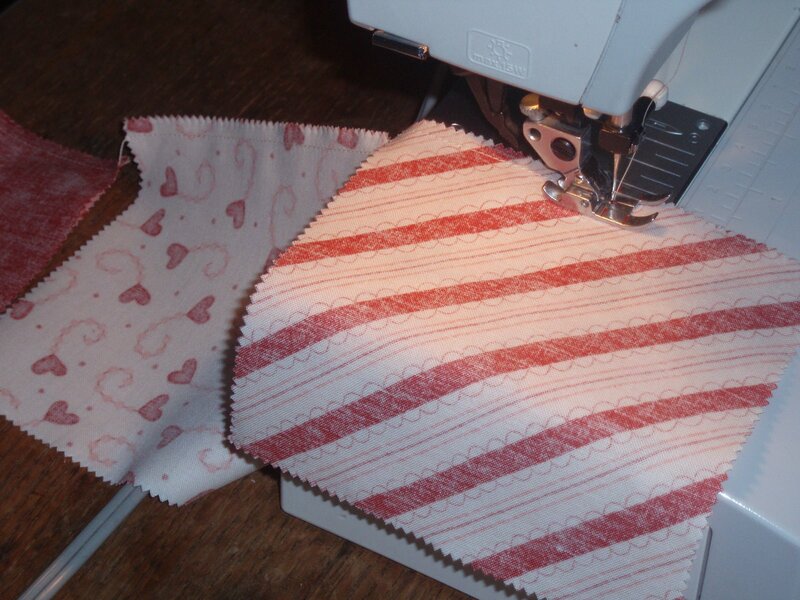 Sew together so you have 7 strips with 10 charms. 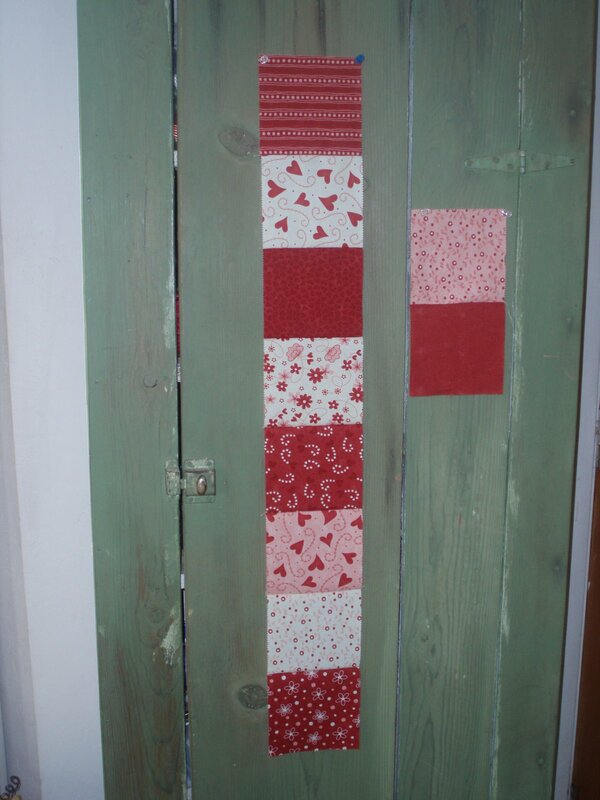 Borders- Cut 5 strips at 4.5″. 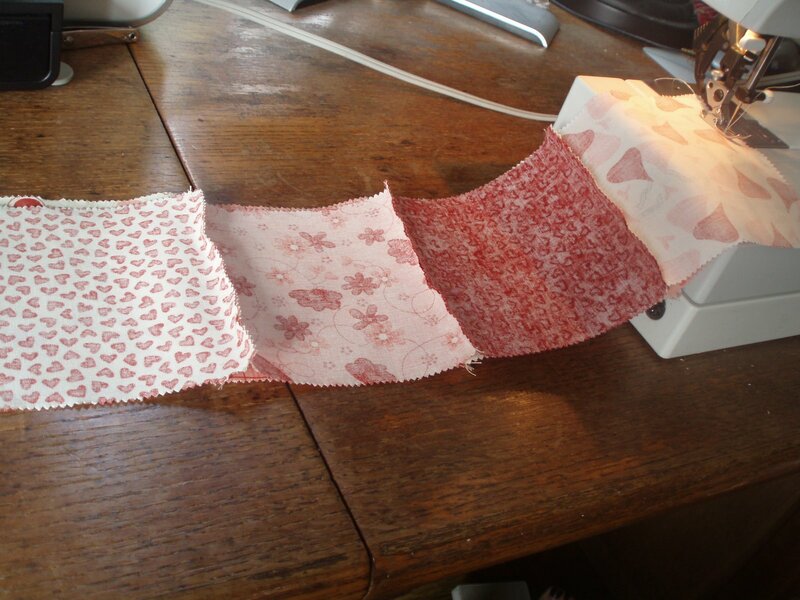 You will use 3 of these for the side borders, which you will put on first. 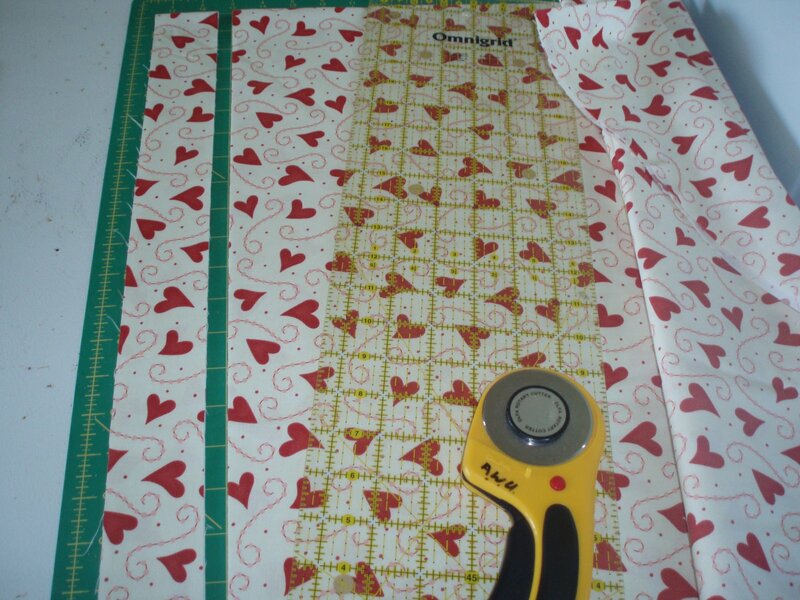 Then you will use the 2 leftover strips for the top and bottom borders. 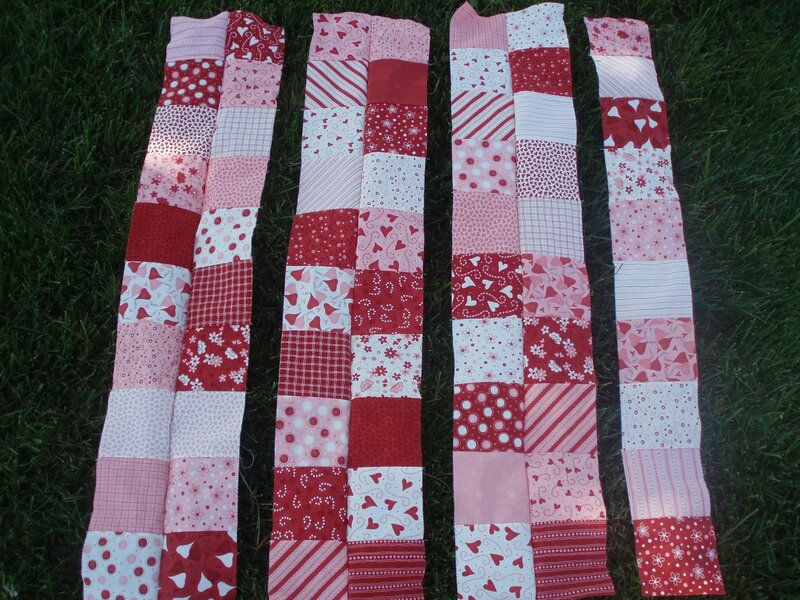 Binding- Cut 6 strips at 2″( or your size of preference) join these together for your binding. 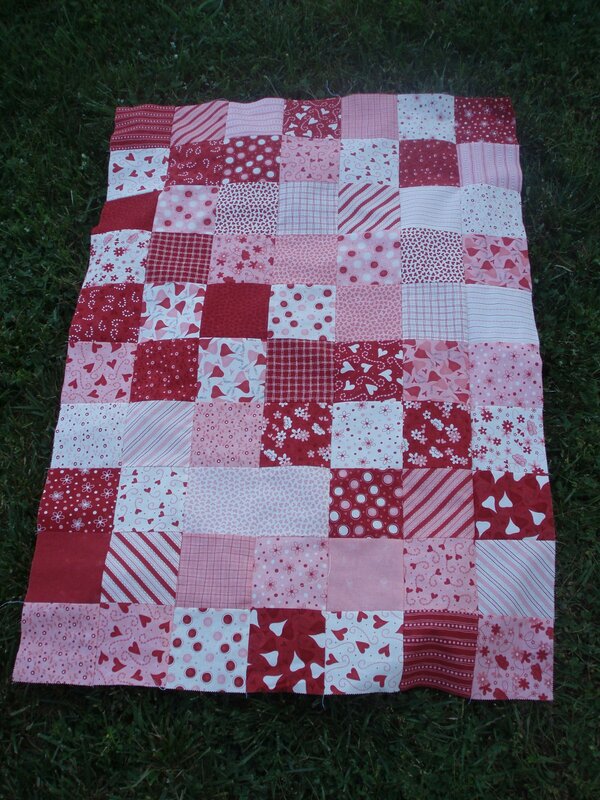 One super duper simple quilt 40 x 53″!!! 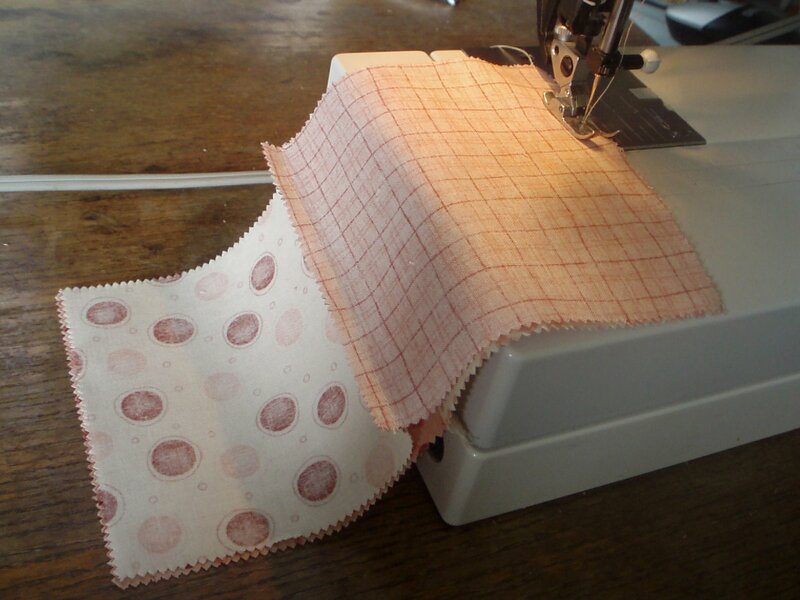 Sew easy you don’t mind giving it away! 1. 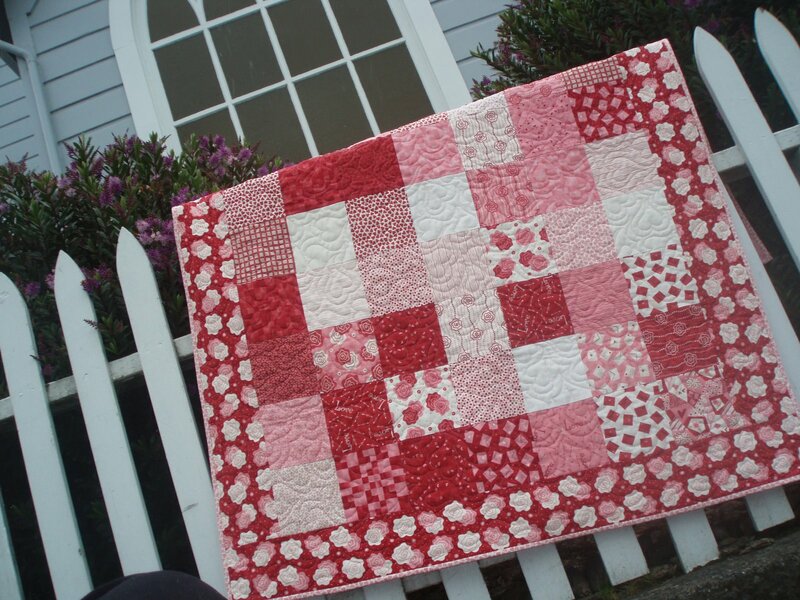 With right sides together, stitch the 9 pink charm squares in a row. Press. 2. 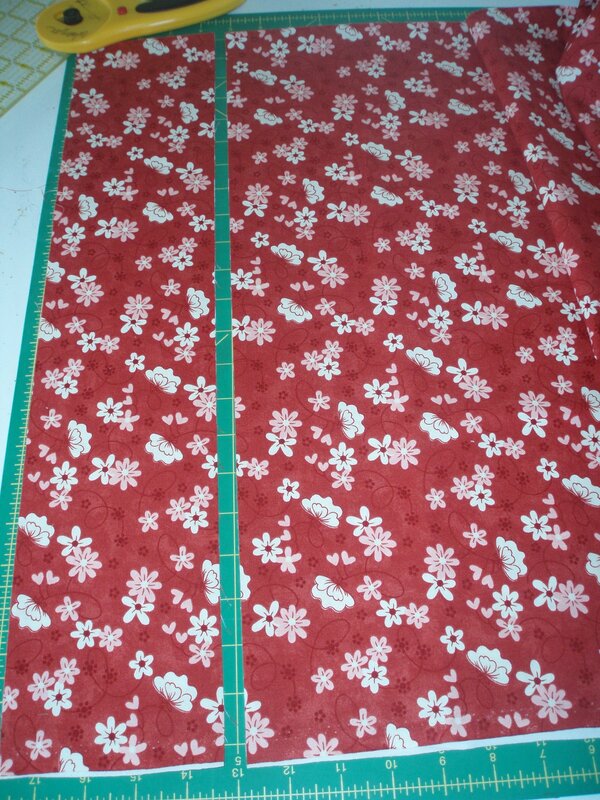 Cut a piece of interfacing 2 3/8” X length of belt. 3. Top with the piece of interfacing. 4. Fold belt in half right sides together. 6. Turn belt right side out. Press. 7. Slip open end of belt around belt buckle, turning under the raw edges. 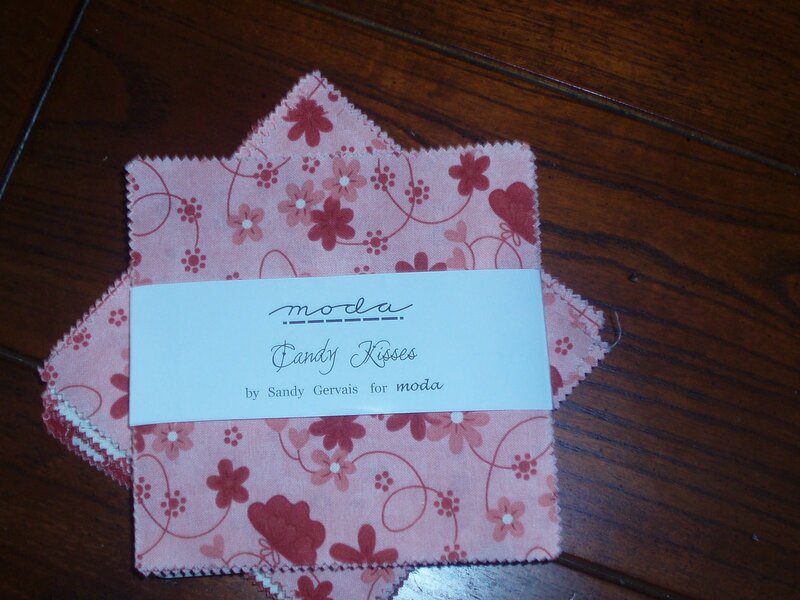 Hand stitch in place. 1. Follow the Clover yo-yo maker instructions to make 2 large red yo-yos and 1 small pink yo-yo. 2. Hand tack the yo-yos in place at the neckline of the t-shirt. 1. 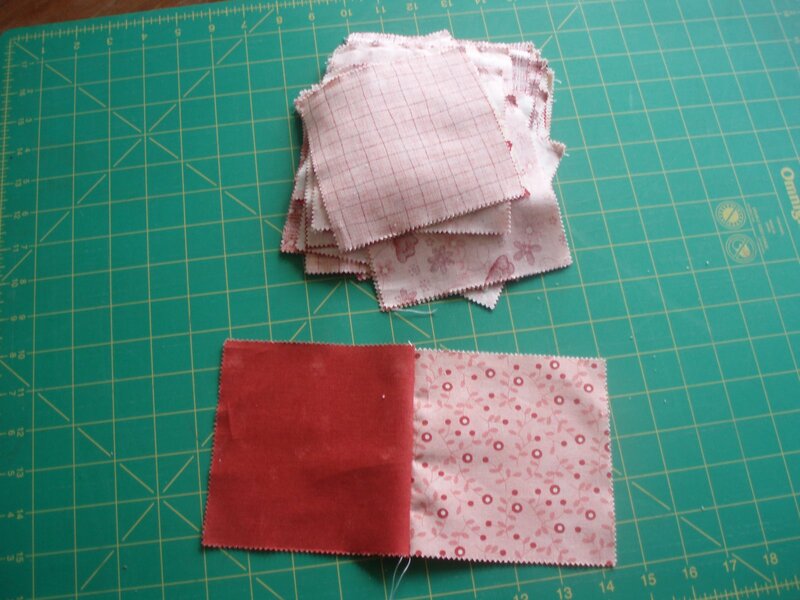 Place 2 fat quarters wrong sides together. 2. 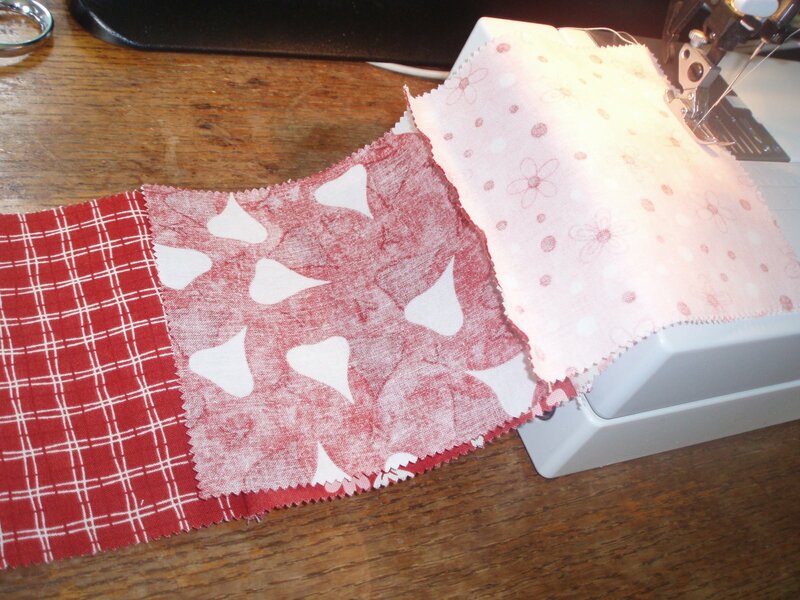 Place the fat quarter set in the gift box as if it were tissue paper. 3. Place t-shirt in box and fold fat quarters up and over t-shirt. 4. 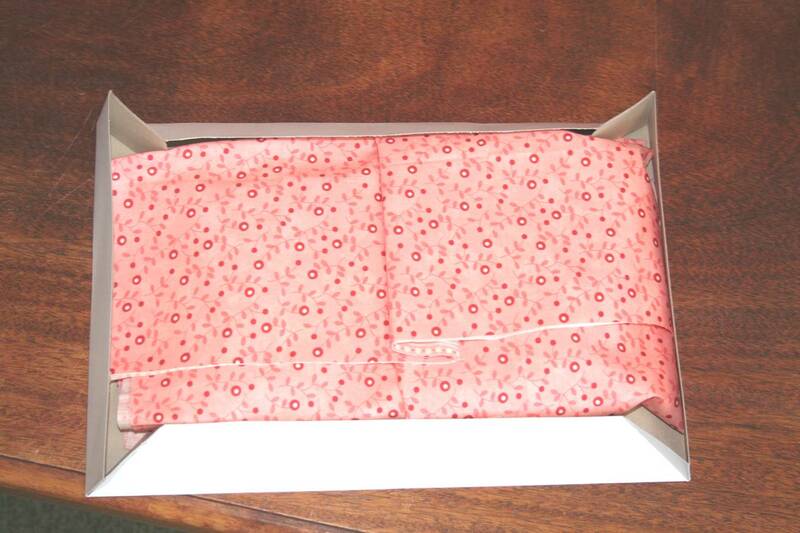 Place lid on box and wrap with red wrapping paper. 5. 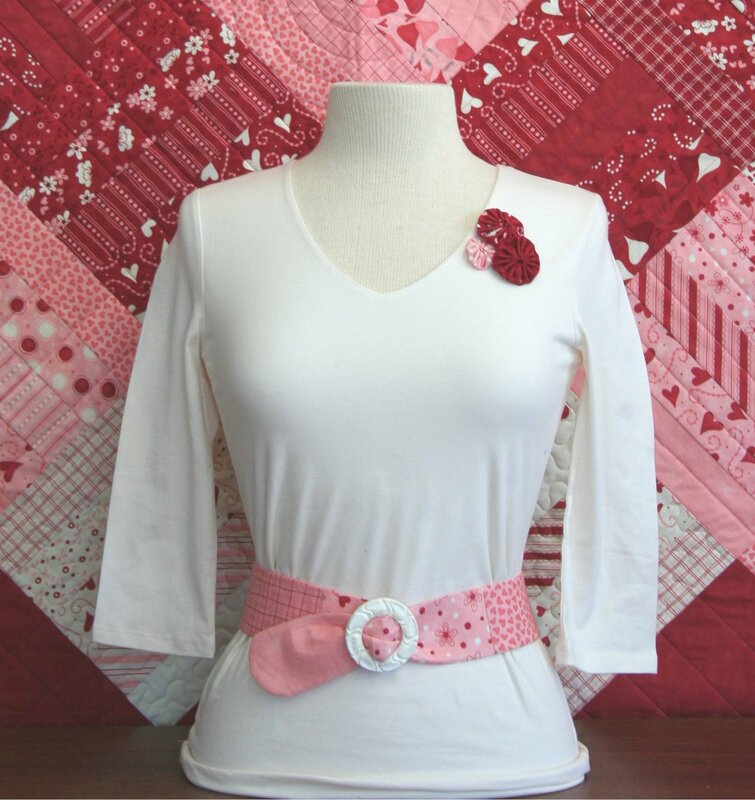 Wrap belt around package as your ribbon. 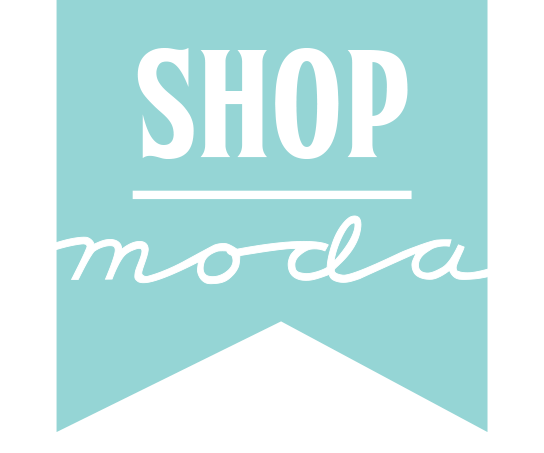 Makes one shirt and one belt… great for any occasion!